But home carer Elaine never made it to her first client, collapsing in the street as she struggled through the snow as the Beast from the East battered Scotland last year. After setting off on foot early on the morning of February 28, Elaine, 42, called her husband to say she was feeling unwell. 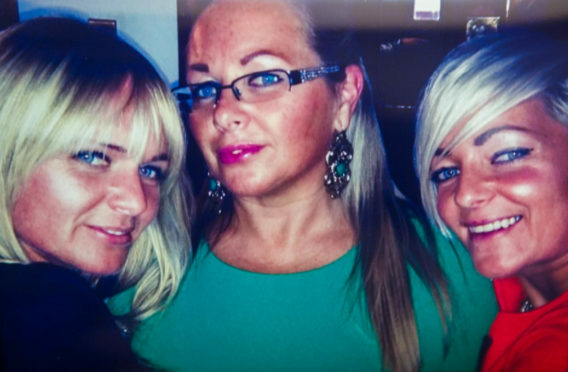 Stephen, 44, raised the alarm with Elaine’s sisters Leanne Moran, 40 and Maryellen Gunn, 38, who searched the streets with other relatives. They discovered Elaine in a garden on Kippen Street in Milton but a sudden heart attack had already taken her. At the time of her death Elaine, from Glasgow’s Possilpark, was awaiting the outcome of an equal pay case against Glasgow City Council. But like more than 100 of her colleagues, who have died since the claim was first lodged more than a decade ago, she never lived to enjoy victory. Campaigners say five people died in one week alone last month and they are constantly being informed of the death of claimants. Now Elaine’s family have spoken for the first time about their loss. 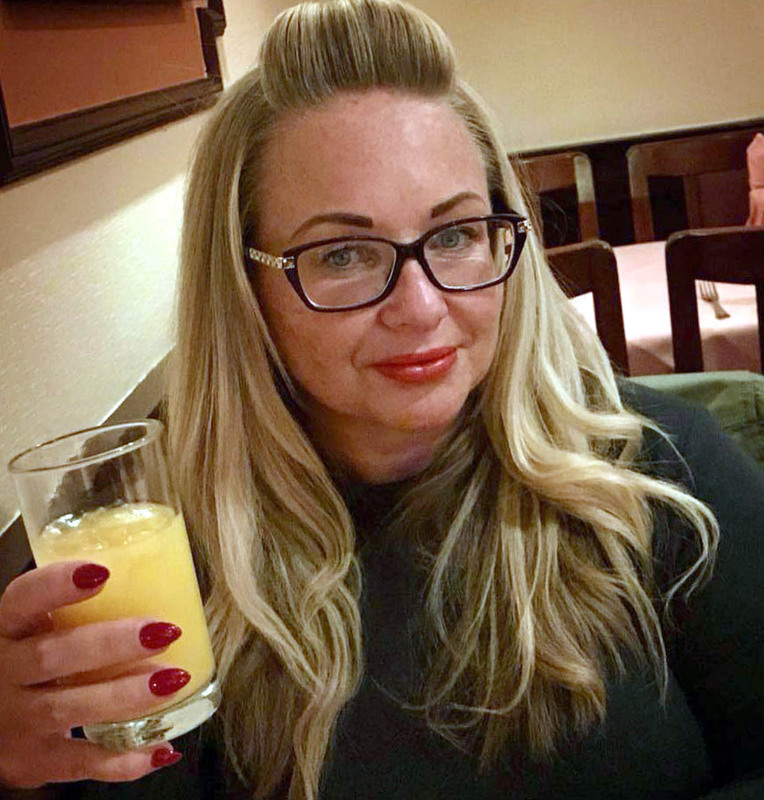 Mum-of-two Elaine, who also has a son Morton, 25, had been in good health and enjoyed a night out with her sisters the weekend before her death. Her post mortem revealed she died of a heart attack, and her family said that even immediate medical attention could not have saved her. Maryellen said: “It was basically instant because the Procurator Fiscal told us what they saw on the CCTV. A year on the family, including her devastated mum Mary, 63, are focusing on remembering Elaine. Leanne added: “The job suited Elaine down to a T. She had a caring nature and was ideal for that job. Elaine worked for care provider Cordia, a Glasgow City Council arms-length organisation. The family took comfort in the response from the community and Cordia workers who helped give Elaine the send-off she deserved at her funeral. Glasgow City councillors even paid tribute to her during a motion at a local authority meeting. Maryellen said: “I had so many people contacting me after she passed to tell me Elaine was always there for them. Leanne said: “Myself and Maryellen were in tears when we went to the equal pay walk in George Square. 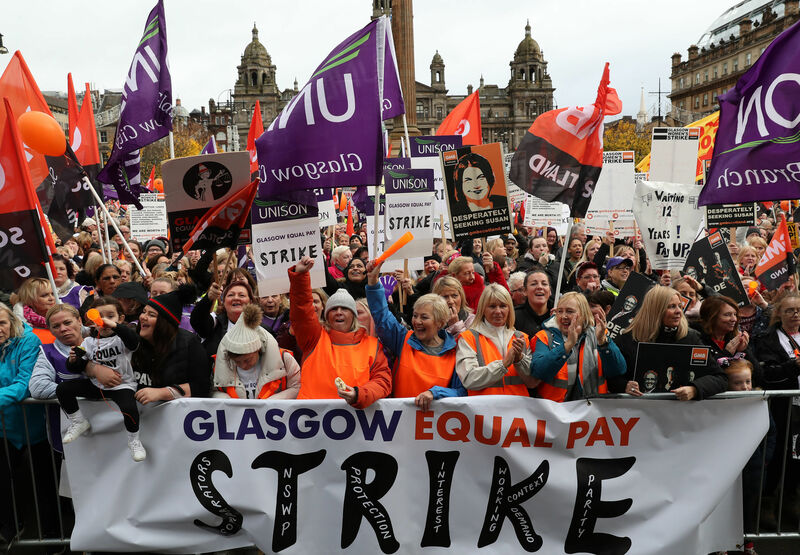 Last month, Glasgow City Council approved plans to finance £548m to settle equal pay claims from almost 16,000 employees, mostly women, going back more than a decade. Two judgements at the Court of Session in 2017 had both ruled in the workers’ favour. But despite this, efforts to reach a final deal dragged on and in October last year, 8,000 staff went on strike for 48 hours in protest at the delay. The workers, including the families of those who died, are expected to start receiving their payments, which will average £34,000 and could be as high as £100,000, in June. A memorial bench will be installed in George Square in memory of those who died during the fight against Glasgow City Council. Frances Stojilkovic, a prominent campaigner during the fight, said: “I kept hearing about all the young women and men who were dying and thought we need to do something in their memory. What happened to Lauren Wade and why did the neglect continue for so long?